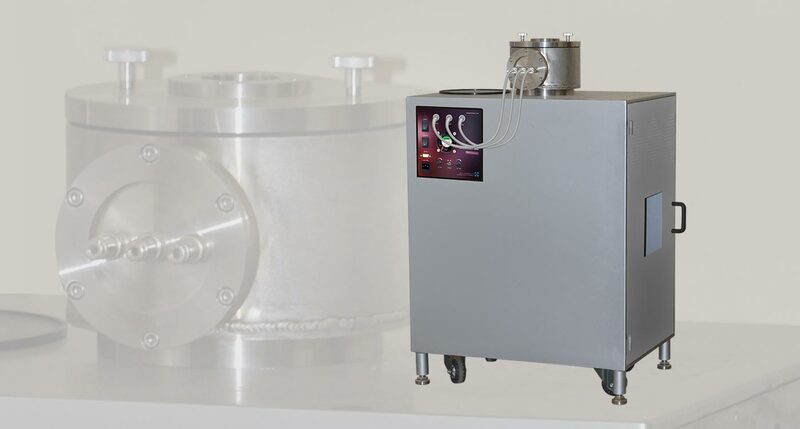 HOLMARC’S Model: HO-ED-SC-05 is a computerized conductivity setup to measure the conductivity of the semi conducting thin film samples by varying temperature in vacuum. Temperature of the sample at the time of measurement can be set at a range of ambient to 150°C. The conductivity is measured at different points of temperatures, by applying a voltage range from 0 - 300V and measuring the resulting current. A curve of current is recorded and plotted against temperature by the software. The process is carried out inside a vacuum chamber of up to 10-2 mbar vacuum pressure. Rotary vacuum pump is supplied along with the instrument.